On Friday, June 3, 2016, a High Court sitting in Osogbo delivered a judgement in favour of a case instituted by the Muslim Students Society of Nigeria along with the Osun State Muslim Community three years ago (February 2013). The students, in exercise of their fundamental rights as enshrined in the Constitution, had sued the State Government to challenge the ban it imposed against the use of hijab in schools. In his 51-page judgement, Justice Jide Falola observed that using hijab is part of the freedom of religion, thought and conscience the Constitution guarantees everyone. He also ruled that hijab-wearing students should not be molested in public schools in the state. As expected, the judgement was well received by the Muslim students. However, in a shocking display of needless belligerence and religious intolerance, the state chapter of the Christian Association of Nigeria (CAN) went over-drive over the judgement. Rather than appeal it, which would be the civil and reasonable step to take, the religious body directed pupils to disobey constituted authority by wearing unapproved gowns to school, thereby creating palpable tension. Sections of the Nigerian media waded in to support illegality. The media that should have stood in support of truth and rule of law resorted to deliberate distortion and dangerous propaganda. 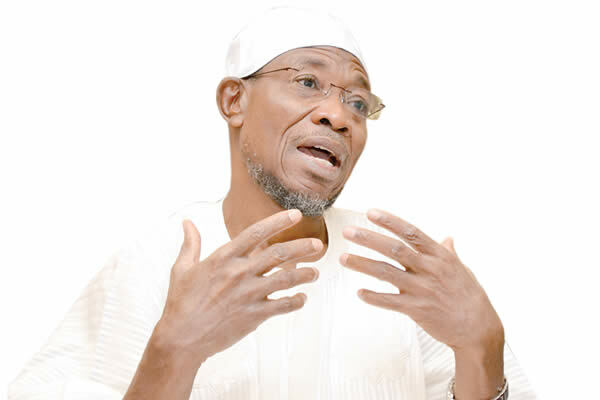 Apart from attacking the judgement, the State Governor, Ogbeni Rauf Aregbesola, who has a distinct religious identity, is being viciously shellacked by hypocritical hagiographers and fifth columnists. Goaded by the unfair media and bigoted analysts, Nigerians started throwing tantrums in support and against what a competent court of law had ruled over and the blogosphere was flooded with hatred and hubris – all because of allowing willing school girls to wear scarves in schools owned or acquired by Government more than 40 years ago. It is another sad reality of how religion is used by extremists to cause confusion in Nigeria. Those who are hell-bent on stoking religious fire in Nigeria should tread carefully. It would be recalled that it was in the same Osun State that an unsuccessful attempt was made at igniting a religious war two years ago. Precisely, on Sunday, May 18, 2014, the pastor of a church in Osun State who was/is also the Chairman of CAN in Ola Oluwa Local Government connived with three members of his church, who wore turban and covered their faces, to unleash terror and mayhem. They stormed their own church around noon during Sunday service and threw firearms to attack and scare people. Many people were injured during the stampede as they scampered to safety. It was when the three assailants wanted to escape on motor cycles that the youth of the community gallantly chased and apprehended them. They were severely beaten before the arrival of the police and they confessed it was the planned work of their pastor. Details are contained in the “Osun Defender” newspaper of May 22, 2014. If that unGodly agenda had succeeded, it would have been widely reported that Boko Haram had occupied Osun State and put the Governor and people of the state on the spot, negatively. This is where the highly respected new President of the Christian Association of Nigeria has a role to play. As I once heard the venerable John Cardinal Onaiyekan say, there are no two countries like Nigeria in the world where Muslims and Christians are almost equal in number. In many countries of the world, the difference is often clear. Based on the given premise, stoking religious fire will certainly spell doom for the country. War is not mathematics and countries that are in conflict would not have known that what started as ripples would end up as storms creating humanitarian disaster in which everyone is affected. This unhealthy presumption that a group’s gain is another group’s loss is inimical to peace and progress. We can all be who we want to be without resorting to illegality. We need to be more tolerant and law-abiding, as demonstrated when a similar case by Muslim students was lost in Lagos. Yorubaland has been historically known to be a haven of religious cooperation and tolerance. This tradition should be sustained and the bigots should be called to order by all men of good conscience. It is the denial of rights that actually drives people overboard. Nigeria certainly has enough problems at hand than for people under whatever guise to be aiding and abetting illegality. 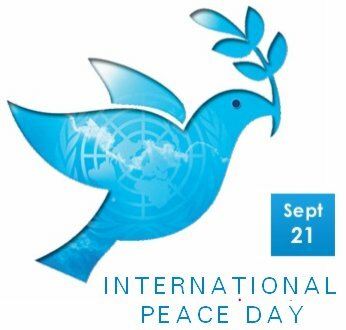 For our collective peace and development, the media should uphold their pristine principles of truth, objectivity, balance and fairness without appearing to connive with religious zealots to destroy the fragile peace in the country. Our critics make us strong, our fears make us bold, our haters make us wise, our foes make us active, our obstacles make us passionate, our losses makes us wealthy, our disappointments make us appointed, our unseen treasures give us known peace, whatever is designed against us works for us. I think we should go back to our Norma dress because tins that make other religion see our religion like trouble religion I don’t like it. And our religion come with Peace. If I can remember during our mentor rosululah (SAW) there argument between Muslim peoples nd unbelievers people nd rosululah Agerd with them and talk to companions and there agerd with prophet. So rosululah do this because Of peace. So to me not stop we Muslim’s in osun state to do so. Masala sir. The moment you don’t know your rights and give in to everything,everyone will step,oppress and use you,you are as good as dead.